Are you looking for a short devotional book that will get you into the Bible, but doesn’t feel like you are taking time away from your family? 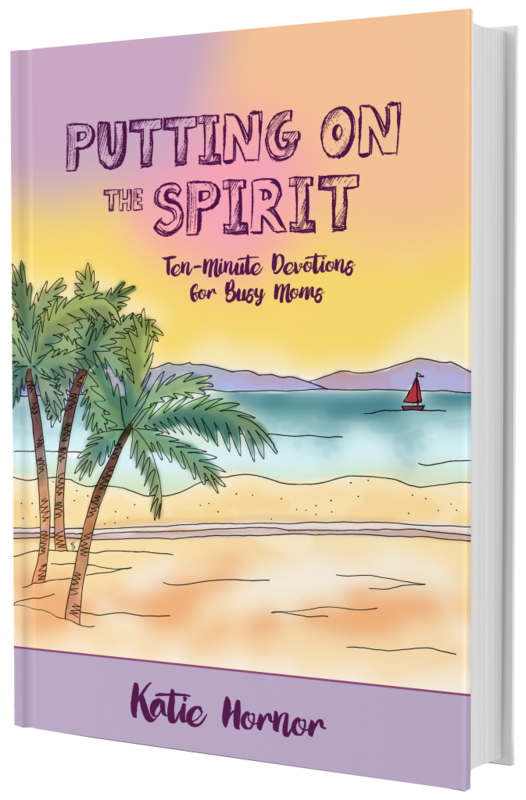 “Putting on the Spirit” by Katie Hornor is the perfect solution! I saw this book and knew right away that it was going to be a good fit for my very busy life. I also knew that if it was good, I would like to do a review on it, and offer it to my readers. Let me also take a moment to say that I did receive a free copy of the e-book, in exchange for a review, but the thoughts, opinions and recommendations are all mine. I was in no way swayed to give specific kind of review, and would have declined to do so if that was the case. Boy do I understand where she is coming from on this one! I often find myself making my lists, taking charge of my calendar, essentially accomplishing it all, and feeling pretty invincible until I realize that in order to “accomplish it all”, I am charging forward like a freight train late for its next stop with little regard for those around me and the needs that only I can fulfill, yet am not. Whether you are looking for a new devotional, or need to get back into the Bible after setting it aside for some time, this a great devotional book! The sub-title of this book is “Ten-Minute Devotions for Busy Moms”. Now I do happen to be a mom of two teenagers, but I sincerely believe that this book is perfect whether you have children or not. In fact, even you don’t consider yourself to be very busy, you will find the time with this devotional to be refreshing. The main study is based on the Fruit of the Spirit, which I believe is important for everyone. 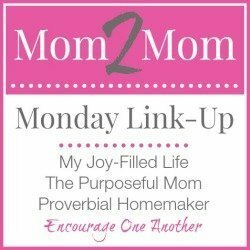 So, if you do not have children, or your children are grown, or if you don’t think you are a busy lady, don’t let the title scare you off, this is still a great all around devotional for you! If you choose to purchase “Putting on the Spirit” as an e-book, so you will download it to one of your devices to read. I read mine on my laptop, my iPad and my android phone, and it was easy to read and navigate on all of them. I say this because I have run across other e-books that were not friendly on all (or even any) of my devices. In addition, there is a companion workbook that you can download for free. If you don’t want to use the workbook, you can write your responses in a notebook instead. I did like the organized feeling that the workbook provided, so I did download it, print it out, and used an inexpensive binder to keep it all together. If you prefer a paperback version of the devotional, you can order it on Amazon by clicking here. You get to know God better when you spend time in His Word. One thing that I love about this book is that she has you spend time in the Bible. Some devotional authors will write pages about their thoughts and share a verse or two here and there. With this, you are digging into God’s Word daily! One technique that she uses is to have you write down your own paraphrase of certain passages. I like this because it encouraged me to really think about what the verses meant, and how I could apply them to my own life. It also encouraged me to really read the verses rather than just skimming over them to keep moving forward. “Lord, help me to live longsuffering in a way that pleases you. Help me to be lovingly patient with my family and with others, whether they are patient with me or not. Allow my heart to recognize and be at peace with your sovereign control over my circumstances. If you allow suffering, and if you allow it to be long, please help me by your Spirit to endure it with a grace that will bring you glory. Since God often repeats Himself in the Bible to make a point and to get our attention, I really appreciate it when she takes us to several verses throughout the Bible with the same theme. For example, “God is faithful”. Knowing that the same themes are constant throughout the Bible, should make us all the more confident that God truly loves us and desires for us to have a closer relationship with Him. Overall, I found “Putting on the Spirit” to be thoroughly consistent with what God desires of us. Each day’s devotion will take just a few minutes, and yet will help you draw closer to God. I know it was a blessing to me, and will be for you too!